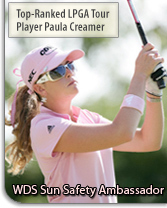 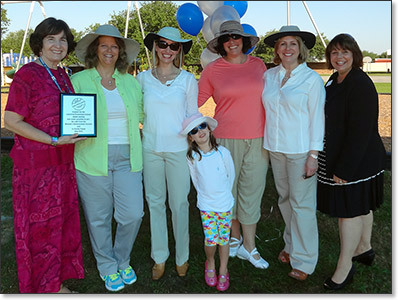 Photos from the Thursday, May 9, 2013 event. 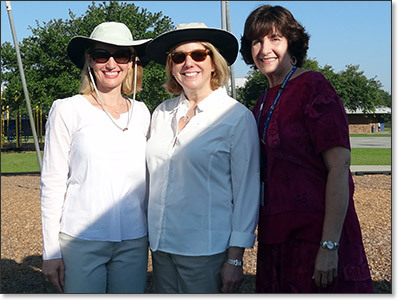 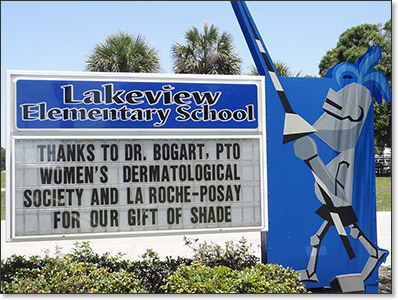 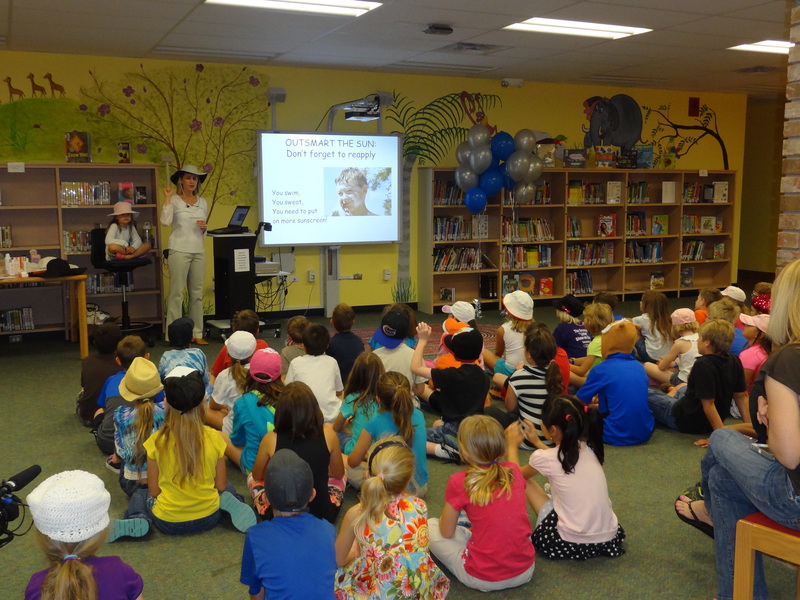 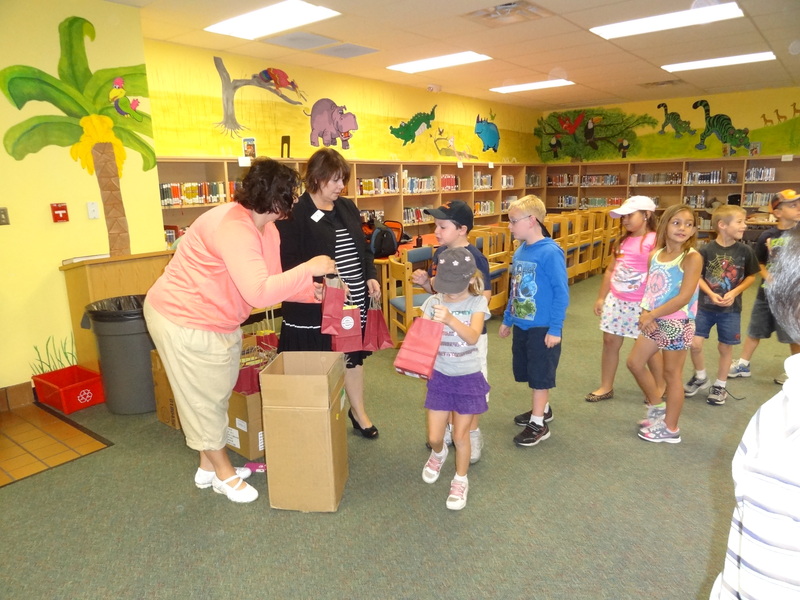 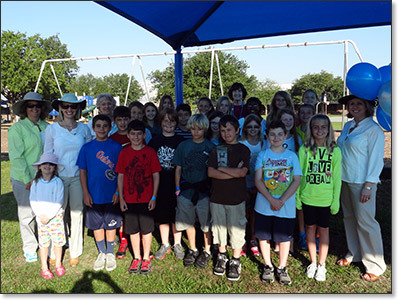 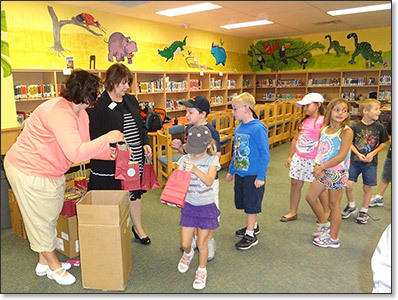 Lakeview Elementary School in Sarasota, Florida was officially sun-proofed on May 9 by WDS members Megan Bogart, MD and Cathy Milam, MD, who delivered sun safety presentations to school children in grades 1, 3 and 5. 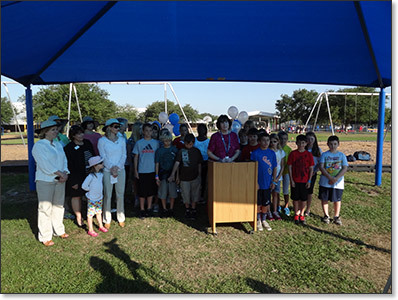 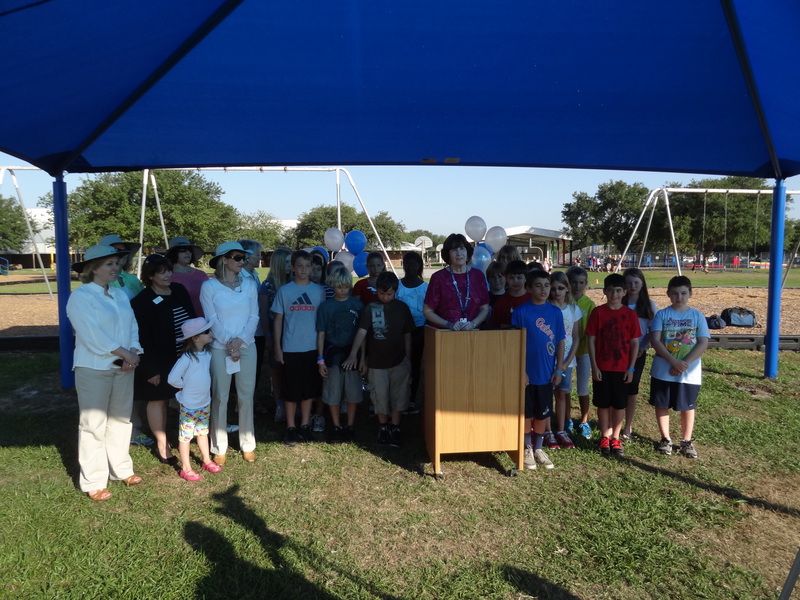 Prior to these fun and interactive sessions, there was a dedication ceremony for the recently installed shade awning which was made possible in part by the grant furnished by the Women's Dermatologic Society and sponsor La Roche-Posay. 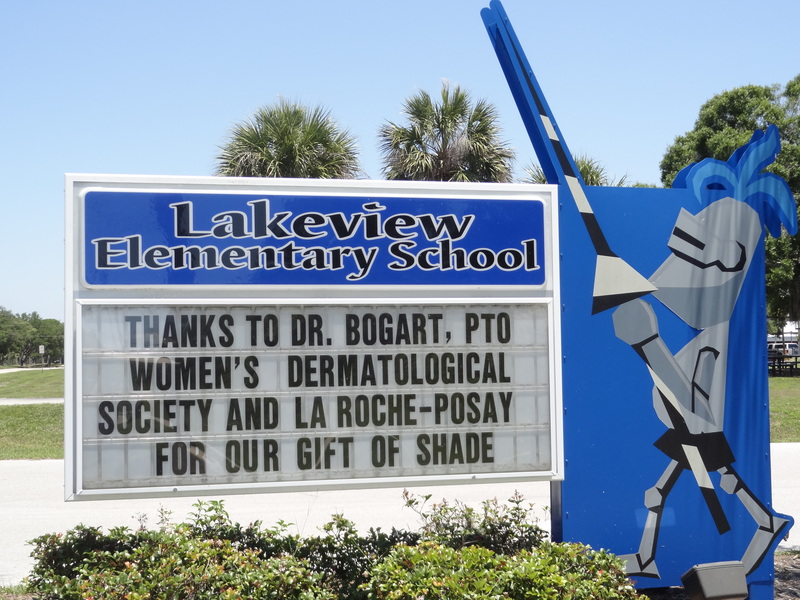 Lakeview Elementary School thanks the WDS and La Roche-Posay for TOPS! 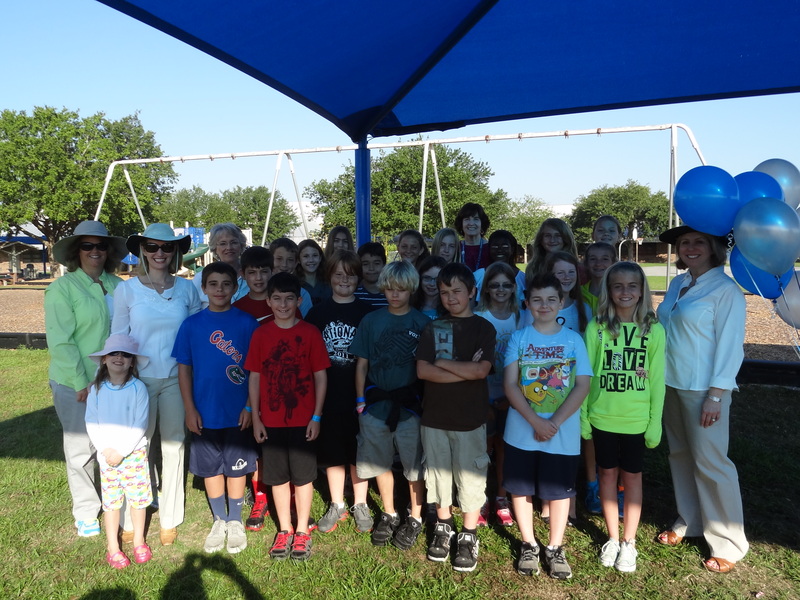 Children at Lakeview under the shade structure made possible in part by the TOPS grant furnished by the Women's Dermatologic Society and sponsor La Roche-Posay. 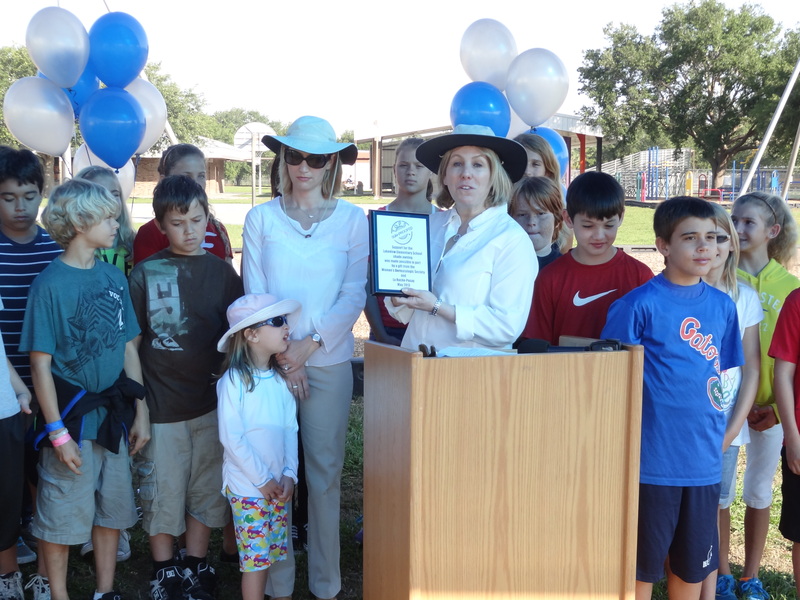 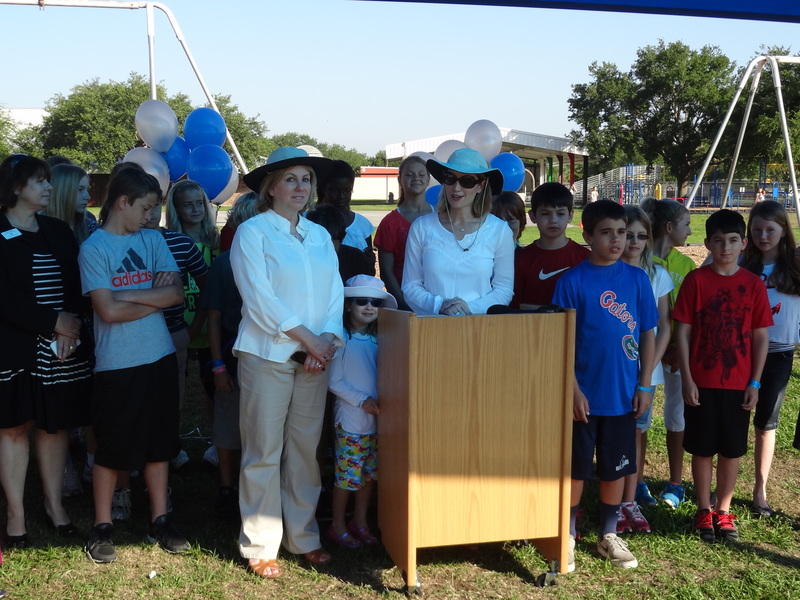 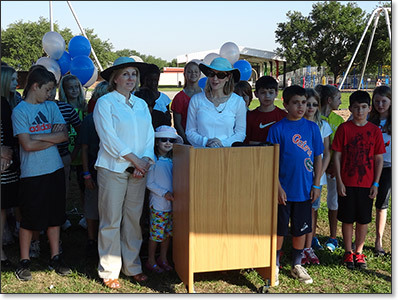 Megan Bogart and Cathy Milam commenting on the importance of sun safety at the awning dedication ceremony in Sarasota. 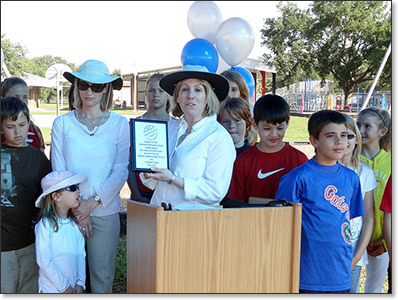 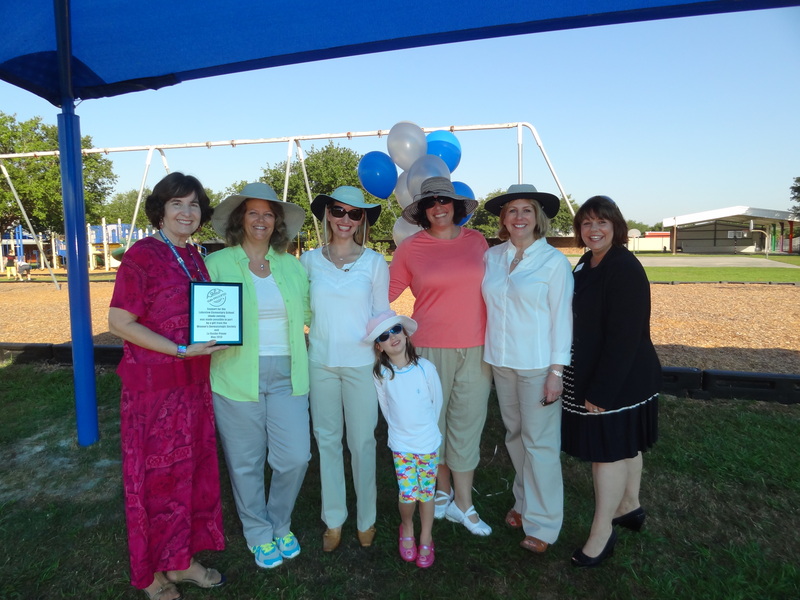 Dr. Cathy Milam (right) and Dr. Megan Bogart present a TOPS plaque to Lakeview Elementary School in honor of its sun-proofing. 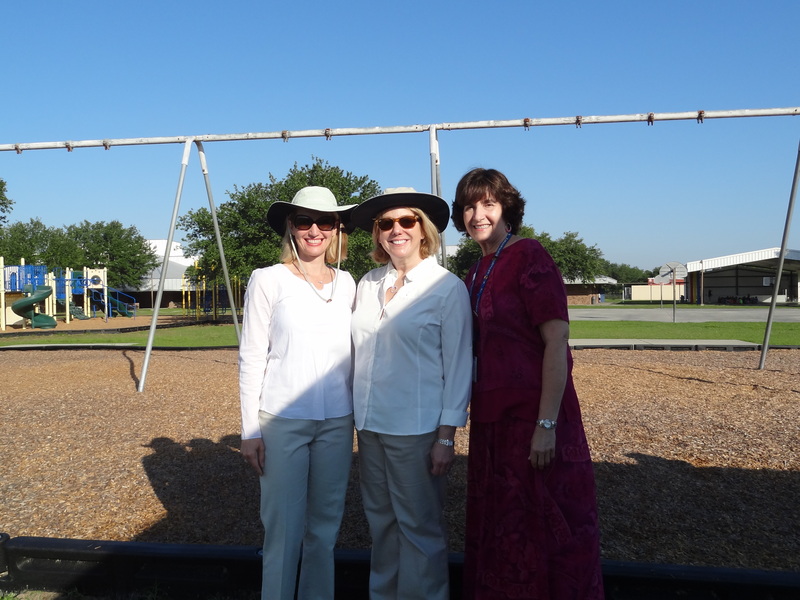 Dr. Megan Bogart, Dr. Cathy Milam and Principal Joan Bower on the playground at Lakeview Elementary School at the start of Sun Safety Outreach Day..
Lakeview children get goodie bags filled with UV color-changing bracelets, La Roche-Posay sunscreen, and TOPS sun safety tips, provided by La Roche-Posay reps Diane Banks (left) and Karen Stanley. 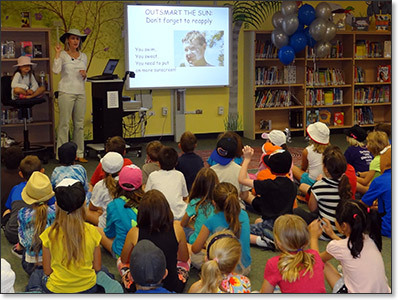 Dr. Megan Bogart and children at Lakeview Elementary School as part of the "sun-proofing" outreach provided by TOPS.